The Cinémathèque Française programmed a wide retrospective that joined together the most valuable and unknown film noir movies of remarkable filmmakers such as Joseph Losey, Cy Endfield, Curtis Bernhardt or Robert Parrish, among others. According to Philip Garnier, Perles Noires’ curator, the film selection avoids any kind of aesthetic or artistic hierarchy and introduces the audience into the genre’s ins and outs. A Perles Noires carefully selected by Eddie Muller, connoisseur and Film Noir Foundation promoter, with whom we discussed about noir movies, its heritage and values. How does a well known noir writer and essayist (as you are) move into film research and preservation? My second life as a film preservationist grew out of my being invited to program film noir festivals. It wasn’t long before I realized that there were no 35mm prints of some of the more obscure and unique films that I’d researched. I’d seen most of them on poor quality videotapes, recorded of television in the 1970s. The actual films had slipped through the cultural cracks. I found it hard to accept, that audiences coukld no longer watch certain films on a big screen, in a theatre. It said something disheartening about American culture, frankly. I felt a responsibility for rescuing the orphan films, at least the noir ones. Frankly, my work is possible, which the means I have at hand, because it is so tightly focused. Which was the Film Noir Foundation main purpose? To be completely honest about it, the Foundation was not born totally out of an altruistic notion of rescuing films. We initially created a non-profit corporation so we could gain access to non-commercial film archives like the British Film Institute, thereby increasing our chances of presenting really rare films at the NOIR CITY film festival. I wanted to show the Cinematheque Francaise’s print of Detour when we did a tribute to Ann Savage, and in order to get access to it I needed to be a registered non-profit. So that’s how it all started. We caught lightning in a bottle with the screenings, and it seemed completely appropriate to me to channel the profits right back into rescuing and restoring missing or neglected films. Now I wonder why the Film Noir Foundation is the only genre-specific preservation group doing this kind of thing. Perles Noires is now showing at the French Cinémathèque. What’s the criteria for the film’s selection? Well, programming such a series for a French audience is daunting, because the French are the most sophisticated cinemagoers in the world. Put another way: they think they know everything. My goal, and it was inspired by my colleague Philippe Garnier (without whom none of it would have happened) was to show that there are still valuable things out there, lurking in the cultural dustbins, that have been overlooked by the critical establishment. Noir isn’t just Welles and Lang and Siodmak and Mann and the revered auteurs. Much has been overlooked, mainly because it’s so hard to find. And my point isn’t that the greats need to be cut down to size, but that very often excellent work goes unappreciated because it wasn’t created by a critically established director. I cherish the inexplicable one-off—a unique film that is the product of a specific time and place and mix of talents, that was never duplicated. A film like John Auer’s City That Never Sleeps, or Felix Feist’s Tomorrow Is Another Day. There are every bit as good as any noir produced in their respective years, but they are ignored because, frankly, no academics care about Auer or Feist. May noir be a universal feeling, something understood worldwide? There’s no question of that. If I’ve learned anything through the creation of the Film Noir Foundation it’s that film noir, which has largely been thought of in Franco-American terms, is an international phenomenon. Our membership is drawn from all over the world. I’ve had wonderful correspondence with members in Scandinavia, Iran, Greece, Mexico, Argentina, Japan … And I’m discovering that these films were made virtually everywhere, contemporaneous with the original noir era, roughly 1944-1952. Noir literature inspired filmmakers such as Godard and Truffaut to move across genres freely. 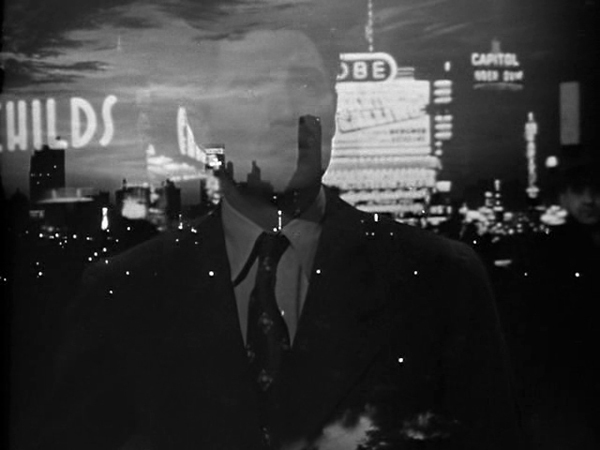 Do you think American noir works likewise to filmmakers? Yes, I do … but I don’t think too many younger filmmakers today absorb noir in the same way, in the same spirit, that the nouvelle vague filmmakers did. There have always been practical reasons why filmmakers are drawn to noir: it’s economically feasible to produce, for one. The stories are small-scaled; the casts are minimal, they can be shot on actual locations, what they lack in production values they make up for in gut-punch melodrama and fierce character interaction. But I sense that many young American directors drawn to noir are just using it as window-dressing on what are basically nihilistic action pictures. There isn’t much action in noir. Look at The Asphalt Jungle, one of my favourites. It’s all about the plotting of the robbery, and its aftermath. The robbery is over quickly, its consequences linger. 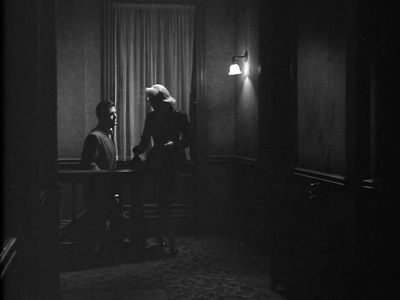 It’s hard today to find an American noir today that has genuine empathy for its star-crossed protagonoists. I think it’s endemic to the culture. America has become much more callow and cruel than it used to be, and you see it in films: they’re either hopelessly sentimental or harshly mean-spirited and cynical. We don’t do ambiguity and ambivalence as well as we used to. Is the current American noir able to describe the unease felt back in the thirties and forties? It should be describing the unease felt now. So many classic noirs dealt with the plight of returning WWII veterans. We could have contemporary equivalents, but new films dealing with these issues shy away from genre-style stories, which would probably be a better way to handle it, if you actually want audiences to watch. But then, Paul Haggis’s In the Valley of Elah was exactly the film I’m describing, and the public rejected it.